Ju-Jitsu Dojo of Columbia: is Ju-Jitsu for you? 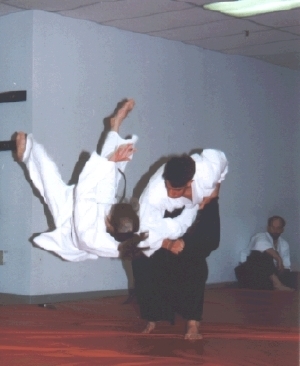 Because Ju-Jitsu does not require great strength, anyone can learn to employ these techniques effectively. Men and women of every body size, shape and age, as well as individuals with physical disabilities, train with us. As a new student, you will learn simple, basic moves which allow you to progress safely and at your own pace. Training with us will increase your endurance, strength, coordination, and cardiovascular fitness, and the mental conditioning we also train will enable you to focus, think clearly, and respond calmly in times of stress. We offer family discounts and unlimited training at reasonable rates. Come watch or try out a class, free of any charge or obligation!